Overlooking the Arabian Sea, this lush green lawn is perfect for wedding ceremonies and reception parties for upto 300 guests. The Madeira Cottage Lawn is the main party area at Prainha. The Marquis Beachfront Lawns is one of North Goa's best waterfront and beach wedding destinations. It is a part of the Marquis Beach Resort and comes with a ready dancefloor, band stage and ample amount of parking. 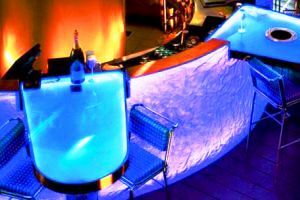 One of the hottest new waterfront venues with the largest waterfront banquet facility in Goa. The Bay 15 Waterfront can comfortably accommodate weddings for up to 750 guests. 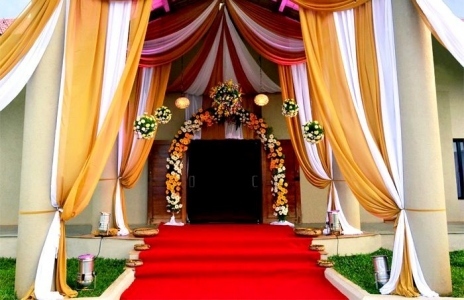 With one of the biggest state-of-the-art indoor air-conditioned halls in Goa, the Taleigao Community Hall is a prime venue in Goa for both indoor as well as outdoor weddings. 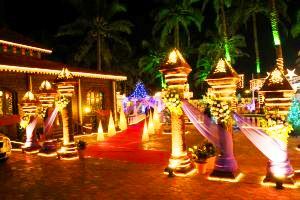 The Wedding Lawns at the Hotel Goan Heritage comes with a ready dancefloor and stage setup. Sea Lawns is part of a truly unique and state-of-the-art hospitality hub - Destination One which can comfortably accommodate over 500 guests for weddings and events. Secretly sandwiched between two 5 Star Resorts in Sinquerim lies one of North Goa's best beach side restaurants which is a perfect venue for small and intimate beach weddings in North Goa. The eight beautifully landscaped gardens, designed by the renowned French landscape designer Oliver Vicchirini, offer a romantic backdrop for wedding ceremonies and outdoor receptions. Located at the far end of the Cidade de Goa Resort, the Sunset Lawns makes for a very intimate and picturesque waterfront wedding venue. The Adda is a perfect venue for beach wedding ceremonies, engagement ceremonies and beach cocktail parties offering a picturesque sunset backdrop and world class hospitality by the O Resort Goa. Overlooking the Vainguinim Bay lies one of the largest outdoor wedding venues in North Goawhich can accommodate upto 600 guests comfortably. Get Married at a Stone Quarry! 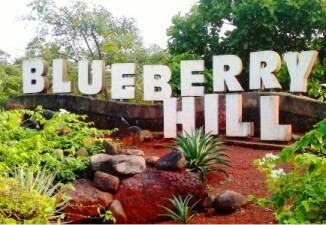 Launched in Dec 2012, The Village is one of the hottest wedding venues in Goa. Situated between lush green fields of Verna and Cansaulim and parallel to the National Highway lies one of South Goa's hottest wedding venues which can easily accommodate around 1,500 guests. Surrounded by the beautiful lush green paddy fields of Taleigao lies a state of the art venue that has been exclusively created for weddings and events. Located on the shores of the sparkling Mandovi river, this historic church and outdoor hall is one of Goa's most loved waterfront wedding venues and is perfect for wedding receptions and other private events.